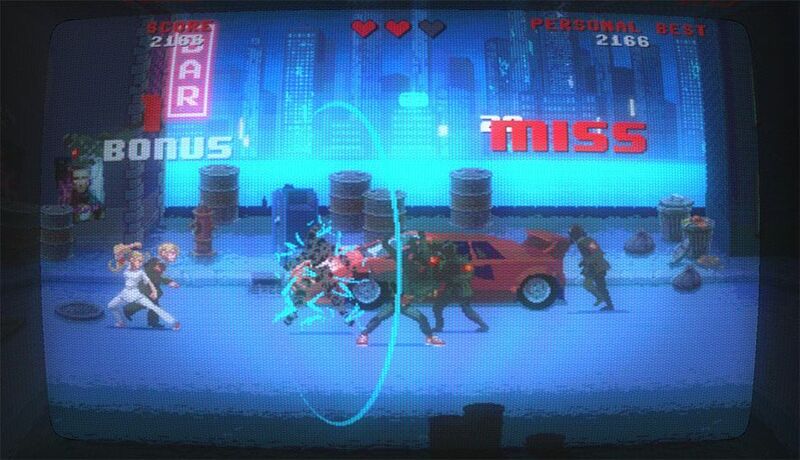 The ways of nostalgia are inscrutable: Kung Fury is a hodgepodge homage to 80s B-movies, a 30-minute film financed via Kickstarter that mashes up ninja police with superpowers alongside Nazis, dinosaurs, and Norse gods. The movie can be seen for free online, and as the cherry on top, the official game for Android has also just been released. The game can be downloaded completely free for Android, although it does include in-game ads. In this super-simplified beat’em up you just have to choose the direction of your blows, measuring the exact moment to make them in order to be able to do combos for special attacks. There’s not much else to add except that you should watch Kung Fury itself immediately and if it leaves you itching for some old-school action, then check out the game. And careful with the Kung-Führer!